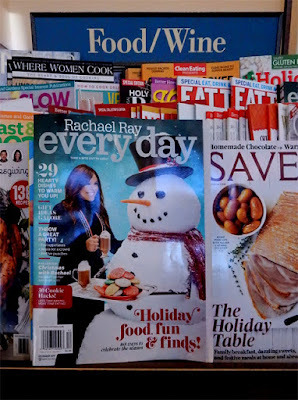 I was contacted by a writer for Every Day with Rachael Ray Magazine in the middle of August. Come to find out it was for an article about "value-driven swaps" for the Thanksgiving and Christmas holidays. Now that's planning way ahead. Well, they came to the right place for cheap$kate advice! "It's all about the leftovers for me. Stretch out your turkey purchase with extra meals after the holidays." "I find some guests do not like turkey skin, so I make sure to collect it - to later fry it until crisp, then add to turkey sandwiches the following days. It adds a decadent crunch to any sandwich, like bacon on a BLT. I don't waste anything, that's how you save the most!" "One other tip is to boil the turkey carcass to make fresh broth, for a turkey and veggie loaded soup later on." 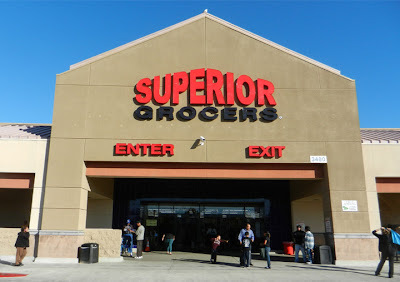 "Finally, here in Los Angeles leading up to the holidays, I find the best deals for fruit and veggies at my local Mexican/Latin grocery store. While my neighborhood Dollar Tree and 99c only Stores carry cans of pumpkin, yams, cranberry sauce and boxes of stuffing." 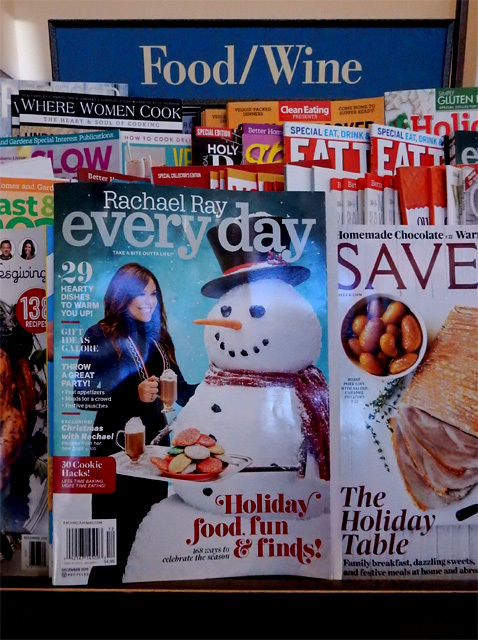 This holiday issue of Every Day with Rachael Ray is on newsstands now (until the second week of December,) so you can checkout the article yourself. It's on page 74 (no number on that page so go to nearest and count.) It's 2 paragraphs down from the center headline: Slice The Price! I can now call Rachael Ray my new bestie! It's the most busy and overwhelming cooking day -- well don't fret, The 99 Cent Chef wants to take the stress out and make it a bit easier for you. I got it all here: my holiday recipes, along with a cupboard full of money saving tips for you during this Thanksgiving and Christmas season. Below is everything you need to serve a sumptuous and cost-saving dinner table feast. Presented with links to my recipes, easy to follow directions, and illustrated with yummy photos and fun videos. And make sure you bookmark this page because Christmas is right around the corner -- yikes! 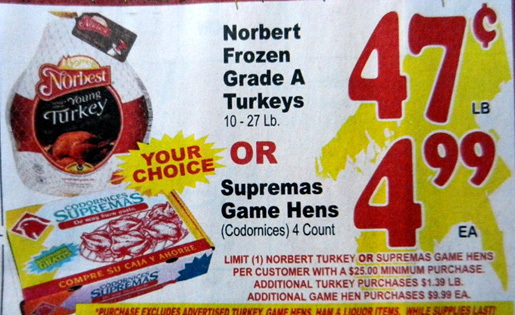 The main event is the centerpiece, a fat turkey overloaded with stuffing. 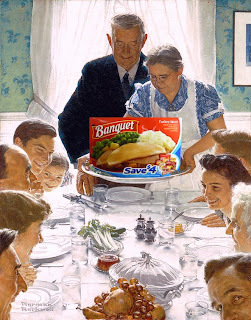 Now, wouldn't it be great if you could get away with just setting out a stack of heated Banquet Turkey Dinners? That really is the cheapest way to go. Well I know that won't fly, but one year in my bachelor days I had one. My wacky review of this frozen poultry fiasco dinner is a click away here. But seriously, I posted my version of a Turkey with Stuffing recipe, click here to read all about it. Not only is there a recipe that features my Mother-in-laws decedent sausage stuffing, but I made a video below for you. And it's done in my movie technique of stop motion animation to boot. 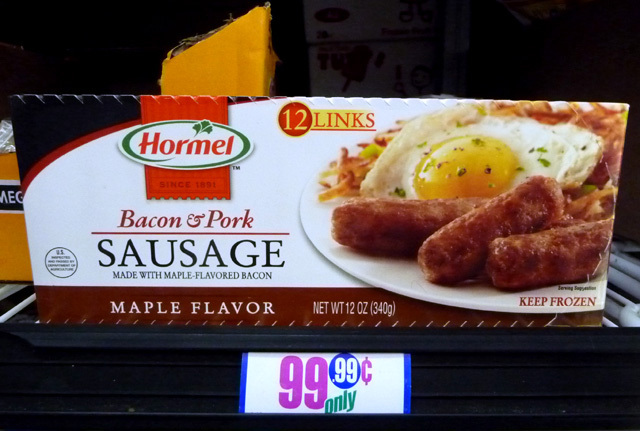 My recipe is stuffed with cooking tips and cheap shopping sources like my local 99c only Store that carries boxes of stuffing and Hormel Bacon & Pork Sausage Links for, you guested it, 99.99 cents. Right now they are selling everything but the bird! Come take a walk on the wild sides with The 99 Cent Rebel With a Cause Chef. And you can be sure the following links will go over big with your hungry family and visiting neighbors. 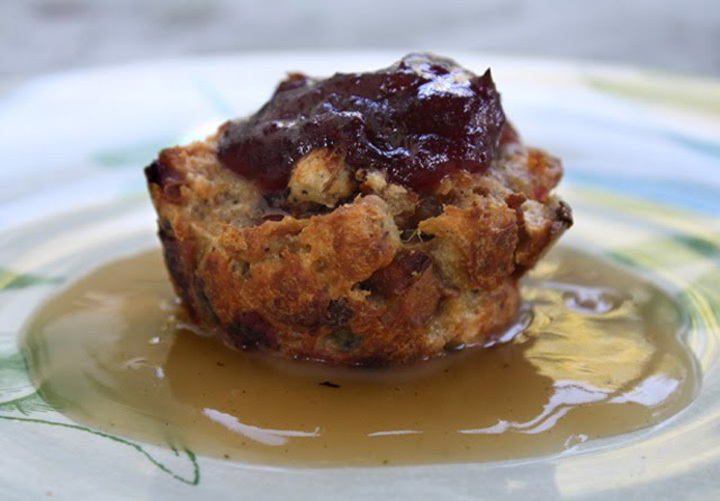 You've never seen stuffing made like this: Stuffing Cupcakes with Cranberry Topping & Gravy. 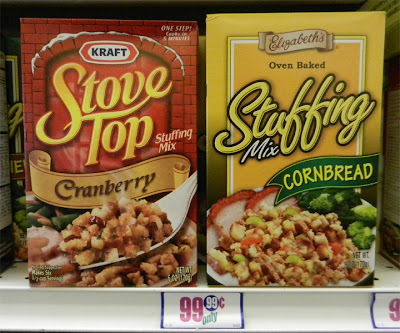 To get the step-by-step directions for this most deliciously unique savory and sweet stuffing recipe click here. It's easy and quick to make, all you need (to borrow) is a cupcake pan. Stuffing Cupcakes are portable for an office party or a pot luck dinner. If you are like me, stuffing, next to roasted turkey, is the main event for my ravenous taste buds. 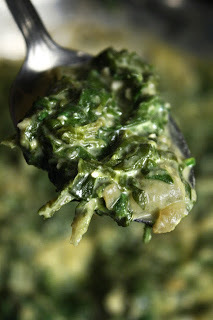 Boring Creamed Spinach is a typical Christmas side, but I have a Hindi twist. One of my favorite India restaurant side dishes is Saag Paneer, which is just like creamed spinach, but with cheese and the added spice punch of ground cumin . My version is made with easy-to-get (and lower fat) cottage cheese instead of Indian Paneer (cheese) and Ghee (butter). Once you and your family try my cheesy and creamy Saag Paneer, you won't go back to Creamed Spinach. And the recipe is a click away, here. If you are looking for traditional sides I have the old school French Fried Onions and Green Bean Casserole, that is right out of the 1960's themed Mad Men TV series. 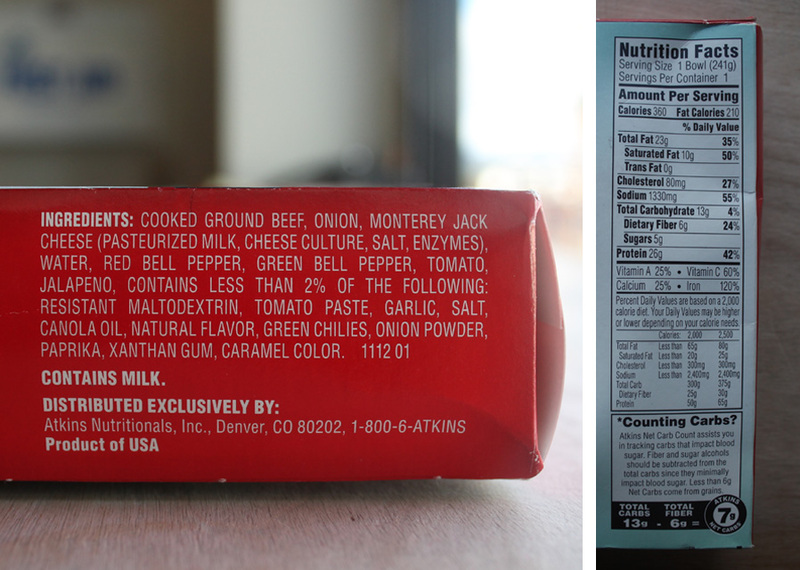 Yeah, all you need is a can opener for the green beans and Campbell's Mushroom Soup. This is a classic recipe were Betty Crocker has it right -- creamy, crunchy and so satisfying. Click here to see the Cheap$kate Chef's version. Roasted Brussels Sprouts are edible Christmas ornaments that you can add to the oven during the last 30 minutes of your roasting turkey. Just drizzle them with oil and dust with salt and pepper. 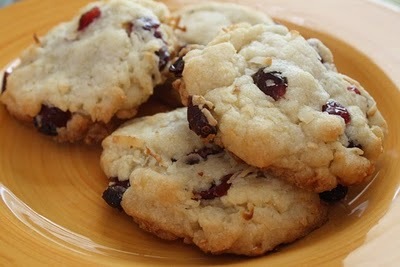 Go here to see the recipe details. It couldn't be simpler to do and here is my stop motion animated video to prove it. And don't forget the appetizers like: Warm Artichoke Dip, Black Olive Tapenade with Crostinis, Bacon Wrapped Dates with Cream Cheese, and Roasted Asparagus Wrapped in Salami. But you can't do better than desserts made by Mom. They know what makes a family happy and mine has been generous enough to show me how she does it. Here are a couple of videos I made of her homemade Pumpkin and Mini Pecan Pies. Read the recipe details of my Mom's luscious Pumpkin Pie by clicking here. And watch the video below to she how she does it. Every Christmas holiday my wife and I eagerly await a package from Mom of her famous Mini Pecan Pies. A dozen of them travel well inside a shoe box from Louisiana to Los Angeles. These small pies are the tastiest present one can receive, and I got her recipe for you -- all you have to do is click here. Well after all that slaving in the kitchen you deserve an Egg Nog. In my first holiday themed video from 2008, I made a Homemade Egg Nog that went a 99 cent airline bottle of rum too far. Be sure to view past the recipe for my humorously Tipsy Tree Trimming fiasco -- blogpost with written recipe and photos here. The holidays wouldn't be complete without leftovers. I have a hearty Tea Party Chicken Soup, click here (of course, substitute leftover turkey and the carcass, for chicken.) And the most fantastic Turkey Sandwich video is a click away, here. I hope all my visitors have a great holiday. Keep checking back here for more budget recipes and loads of new food videos. All rise please, the King of Salads is here: Fake Crab Louis! A typical Crab Louis uses real lump crab meat. Well, you'll have to settle for fake crab in my recipe. Notice in the animated GIF above, my Royal Cheap$kate's Crown is made of cardboard -- so you won't have to hock the Queen's jewels to pay for the simple salad recipe ingredients. This salad is old school steak house cuisine that originated on the West Coast around the 1900's. There is debate where it first came together, either San Francisco or Portland, Oregon. You can read all about it by clicking here. Almost anyone can afford a head of iceberg lettuce, a couple of tomatoes, a hard boiled egg or two, and a few stalks of asparagus. Asparagus can be expensive out of season, but I find it quite often at my local 99c only Store. 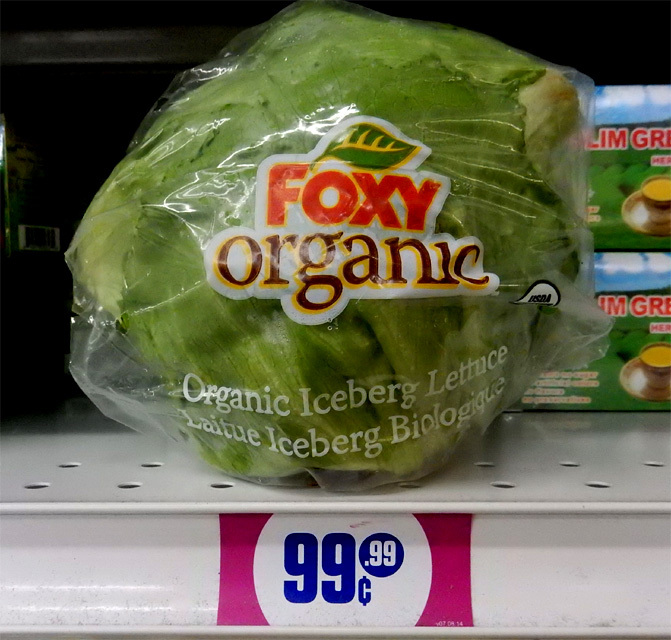 Of course you can substitute with any cheap veggies you find on sale, like broccoli. 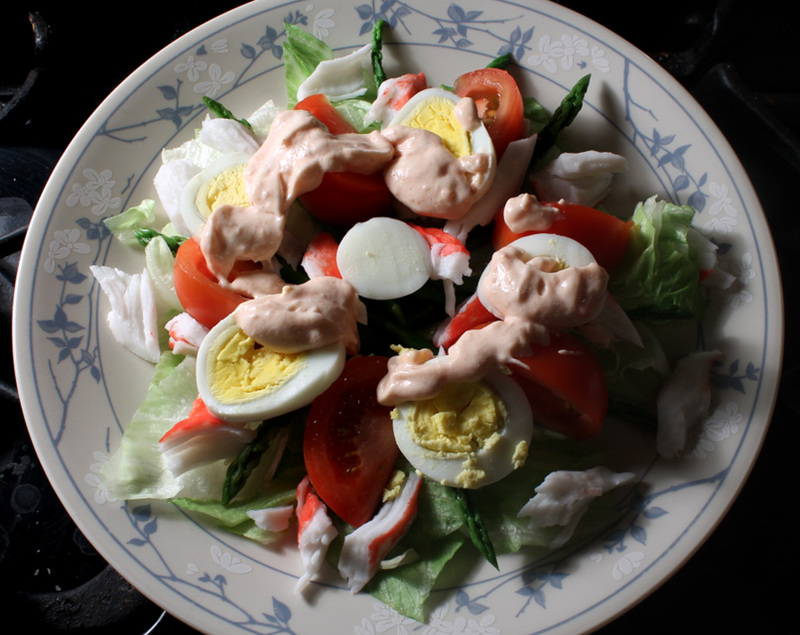 I don't eat sliced boiled eggs on my salads, but since making this recipe I'm going to keep a a few in the refrigerator from now on. You can get fake crab (or, krab) for around 3 bucks per pound in a typical grocery seafood chilled case. And for this recipe I only use half a pound to make enough for 3 salad servings. 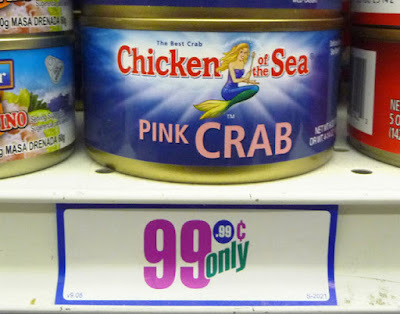 As usual, I get frozen 8 ounce packages of imitation crab meat at my local 99c only Store. One thing about frozen imitation crab is it can dry out a bit. If that is the case I have an easy fix. After it's defrosted just sprinkle a little water on the krab and microwave in 10 second increments until the krab is warm, but not hot. It will soften and tenderize nicely. 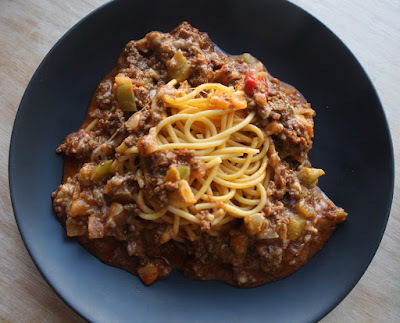 The texture will go from stringy and mealy to sweet and supple. Go ahead and bring Fake Crab Louis into the 21st Century with cage-free eggs, heirloom tomatoes, specialty lettuces, even kale - wait a second, let's go back a few centuries, before big industrial food production began! 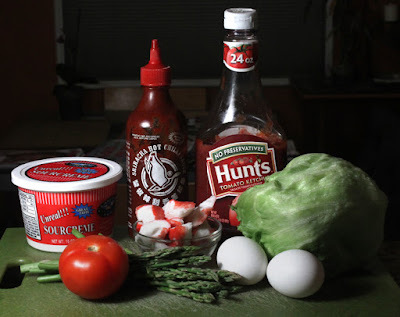 I also have an easy Homemade Louis Salad Dressing comprised of sour cream, ketchup and hot sauce. 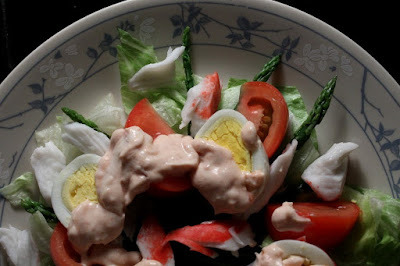 You can use store bought Thousand Island dressing if you like. This Socialist Chef is against all aristocracy, whether it's tax dodging corporate oligarchs, the hoarding moneyed elites or European royalty - it's all balderdash. However, I will not abdicate my standing as the Earl of Tightwad, dispensing bargain recipes any plebeian can afford. 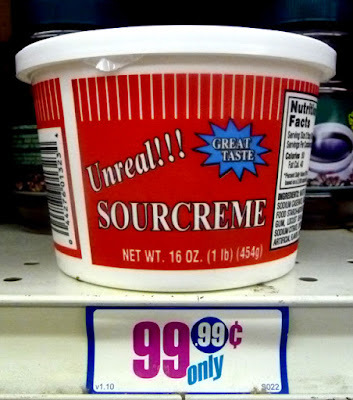 And, until we all come to our senses and become a real sharing economy, I guess there will always be a seat at the culinary table for The 99 Cent Chef. So read on and allow me to introduce to you my recipe for Fake Crab Louis with Homemade Louis Salad Dressing. Fake crab (krab) - 8 ounces or half a pound. Okay to use more or less to suit your budget. 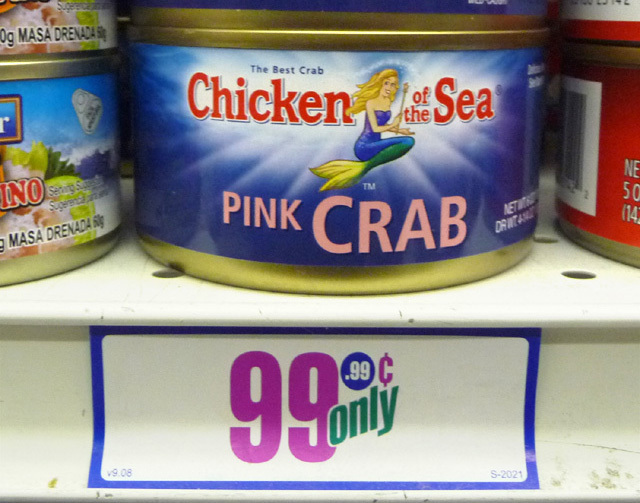 You can even use real cooked lump crab meat, if your ship comes in, you get a raise, or marry into royalty. 2 to 3 eggs - boiled and peeled. Lettuce - one head. Okay to use any favorite salad greens like: kale, Romain and spinach. Asparagus - about half a pound. Okay to use as much as you like. You can even leave it out if it breaks the budget. Substitute with cheaper veggies like broccoli and carrots. Tomatoes - 2 to 3, depending on the size. Okay to use cherry tomatoes. 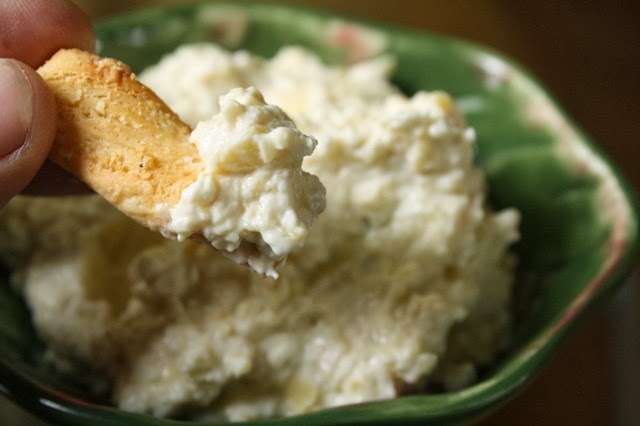 3 tablespoons of sour cream or mayo - I used sour cream for this recipe. Okay to use low fat. 1/2 teaspoon hot sauce - I used Sriracha Hot Chilli Sauce. Okay to use any favorite hot sauce. Mix in a little at a time to reach desired spiciness. Okay to use horseradish instead of hot sauce. Hot sauce is optional, if your tolerance for spiciness is low. 1/4 onion minced or grated - optional. I used yellow onion. Some recipes call for sweet pickle relish, so it's okay to add a tablespoon or two. Add 3 tablespoons of mayo or sour cream to a bowl. 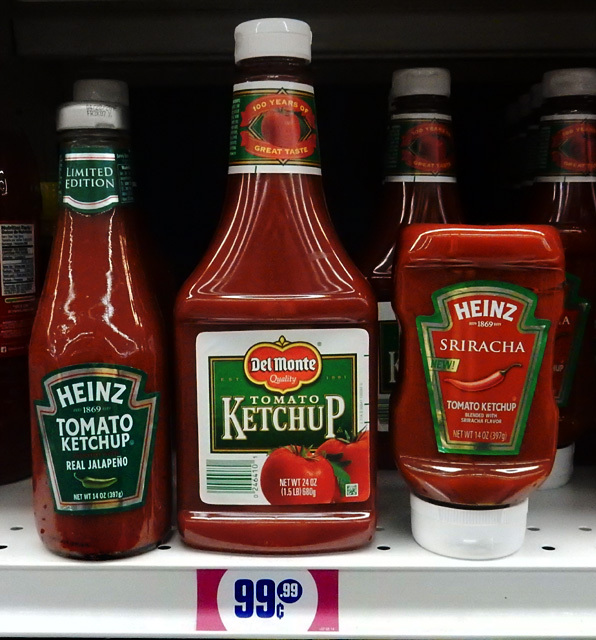 Squeeze in a tablespoon of ketchup. For heat, mix in half a teaspoon of favorite hot sauce. Add a little at a time to reach desired hotness. It's okay to leave it out as well. Fine chop, mince, or grate 1/4 onion. This is an optional addition; dressing will be delish even without onion. 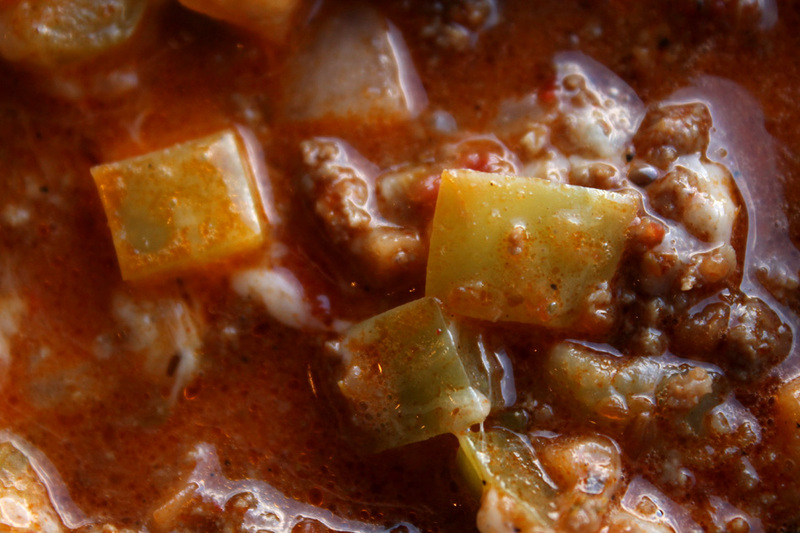 Some recipes call for sweet pickle relish - add a tablespoon and see if you like it that way. Mix Louis Dressing ingredients well. Keep refrigerated until ready to serve. Low boil 2 to 3 eggs about 10 minutes until cooked through. Of course you can boil the eggs any way you like, semi-soft to a hard boiled yolk. 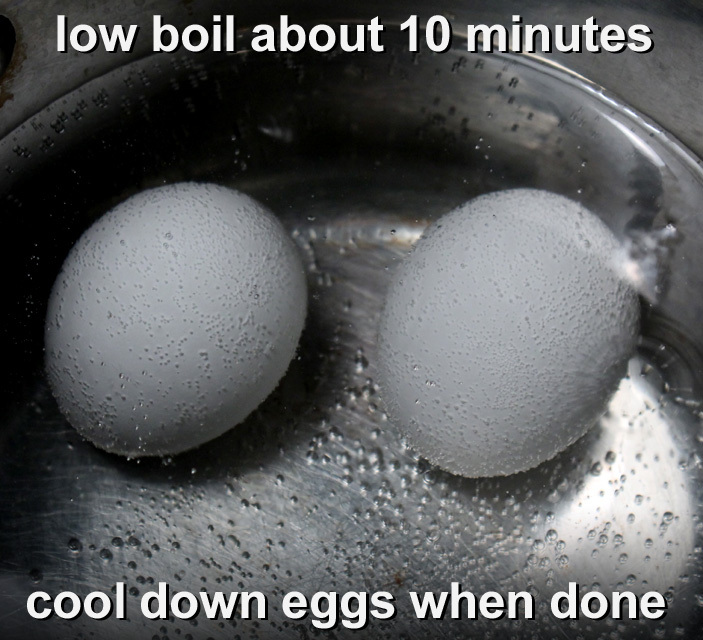 Cool down eggs with ice water when done, or they will continue cooking. For semi-soft eggs yolks it's okay to add them to salad while warm. Slice off about an inch of each asparagus stalk. 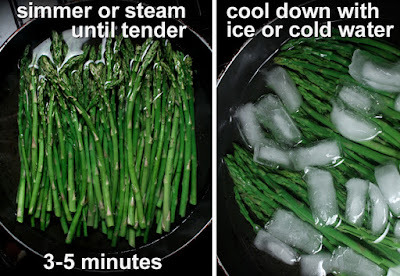 In a large pot, or pan, add enough water to almost cover asparagus. Simmer asparagus about 3-5 minutes until stalks are soft and tender. 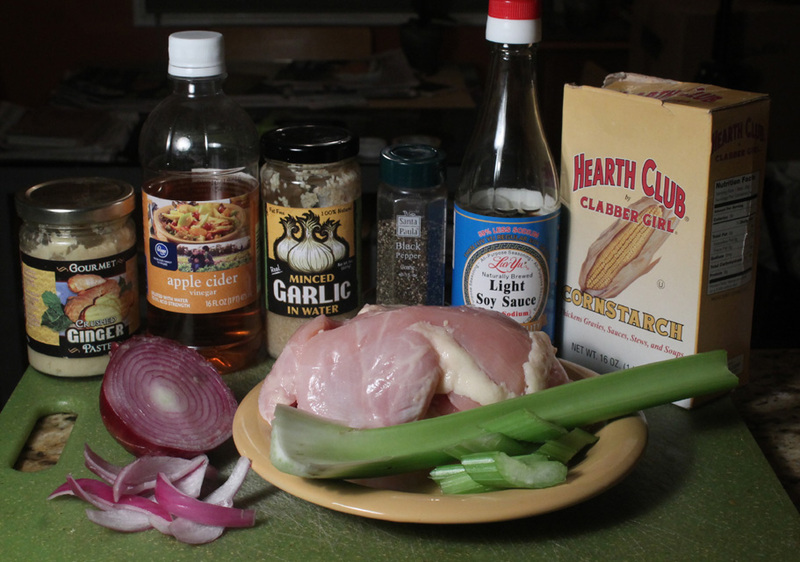 Cooking time will vary depending on thickness of stalks. Just try one out when you think they are tender. You may need to remove even more stalk after cooking. It's hard to tell how much of the stalk is tough and stringy until asparagus is cooked. 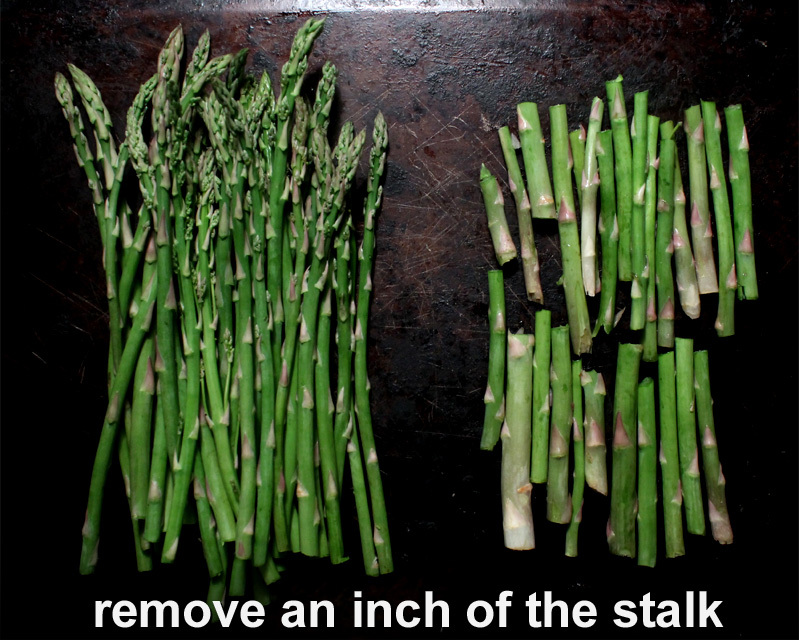 It's okay to slice off even more of the stalk after cooking. You don't want to overcook the tender heads or they will be mushy. 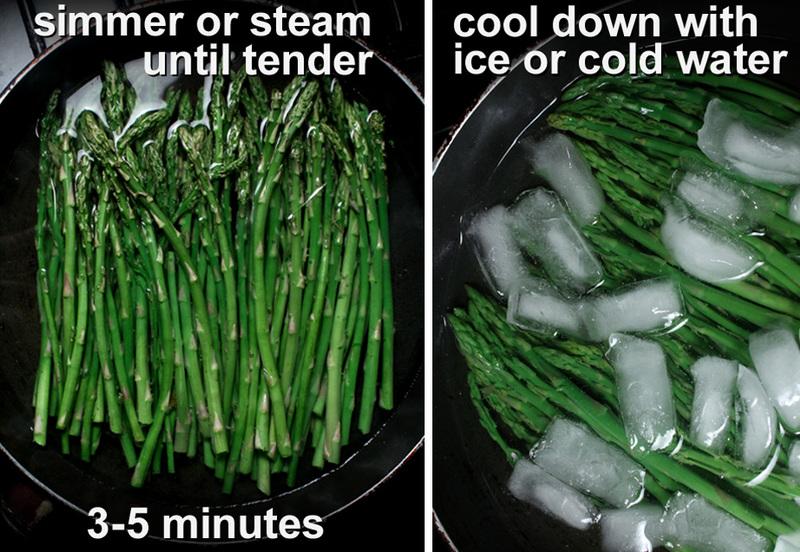 Add done asparagus to an ice bath or cold water to stop cooking. Rinse then roughly shred, or chop, your favorite lettuce. Slice tomatoes. Prepare the fake crab (or krab.) Just roughly shred it. If krab is frozen it my be tough when defrosted. If so, drizzle it with a teaspoon of water, then zap in microwave in 10 second increments until krab is warm and tender. You don't want to cook the krab until hot, just warm it up to absorb some moisture. Now time to bring it all together. Okay to make the salad your own. 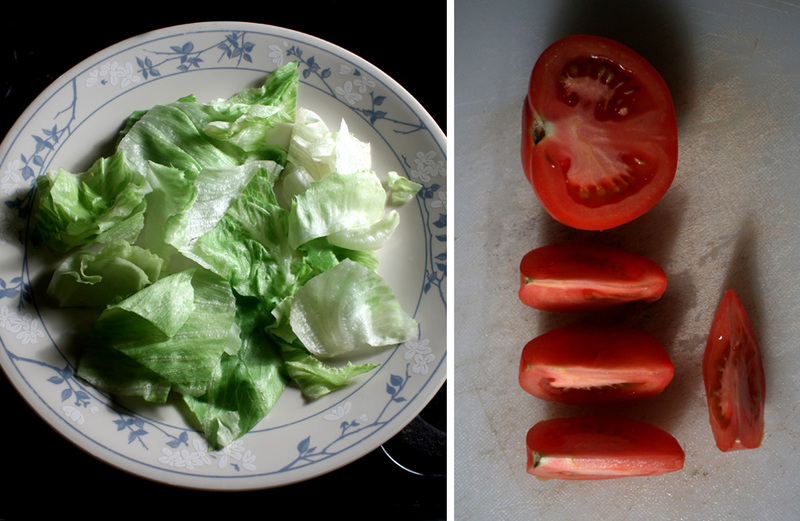 Use any specialty lettuce and heirloom tomatoes. And if you are flush with cash, or want to impress a date, then use real lump crab meat. I used an 8 ounce package of imitation crab. You can also use any fresh or steamed veggies you like, including: carrots, broccoli, spinach or cauliflower. 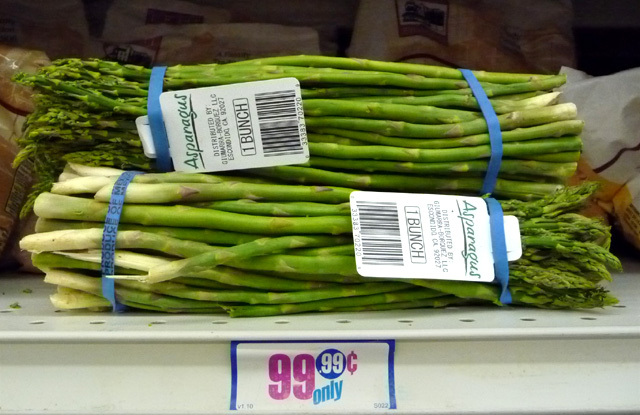 Asparagus can be expensive, so it's okay to substitute with another veggie, or just leave it out. You can add a little sweet pickle relish to Homemade Louis Dressing. 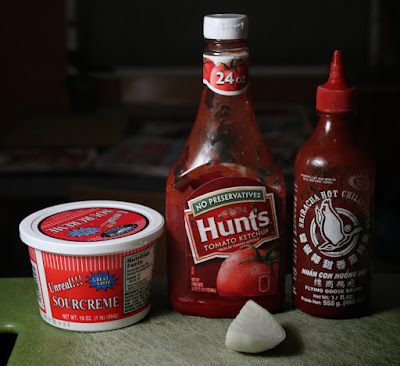 Okay to use horseradish instead of hot sauce. 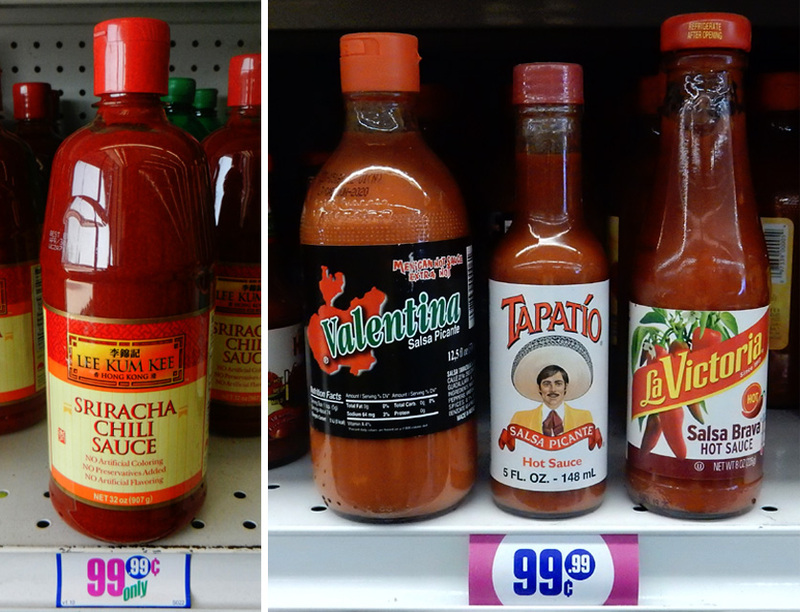 And you can leave out hot sauce or horseradish if your tolerance for spiciness is low. Okay to assemble salad a few hours ahead of meal time. For 99.99 cents I'm willing to drink the Kool-Aid from the cult of diet guru Dr. Atkins. 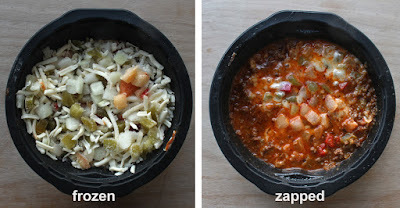 Well, not Kool-Aid, but a frozen low-carb Fiesta Taco Bowl made with real ground beef. 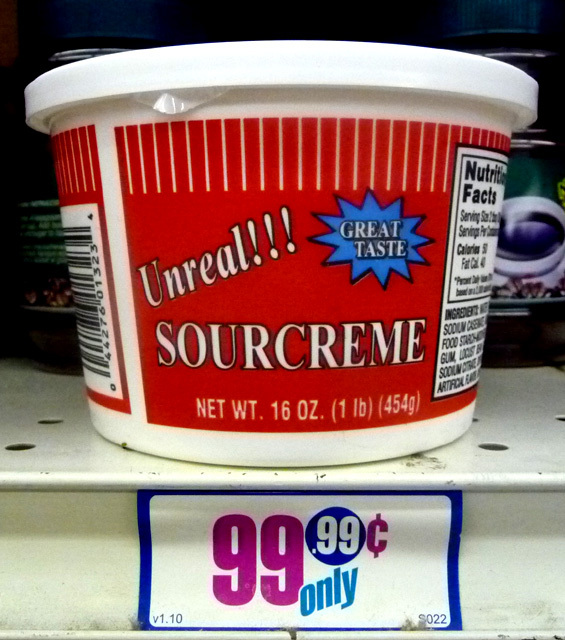 This has the makings of a delish Deal of the Day. 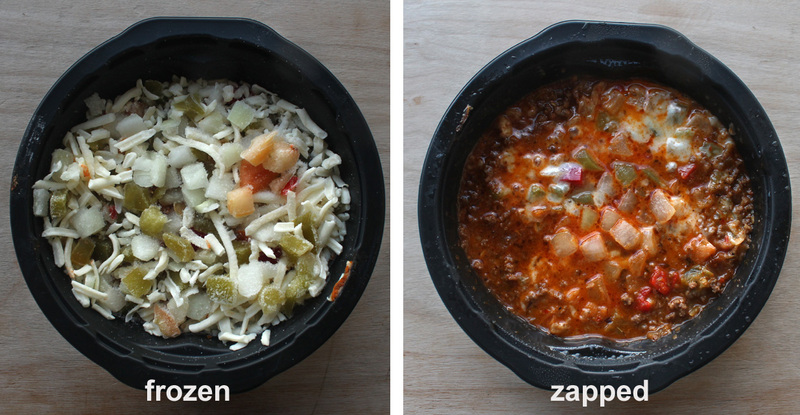 This Taco Bowl is like Texas-style chili made with a package of taco seasoning and tomato sauce. It's spicy hot, but I can take it. Bell pepper and onions are sliced small but recognizable in taste. Meat and chili sauce are the main ingredients. 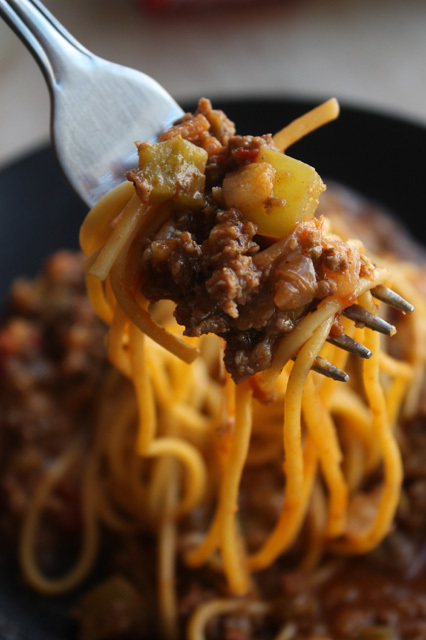 Ground beef is crumbled small, but that's fine as there is real beefy flavor and it's the main ingredient. You get a gooey, cheesy topping to break through for the first spoonful. After a meaty, rich and spicy bowl of chili I often need a Tums -- well, Atkins Beef Fiesta Taco Bowl is Tums worthy -- in a good way. And like most frozen fare, the sodium is off the chart at 55% -- oh, well you can't have everything; and it's not like I would eat this every week. But at least the ingredient list is small. I liked the Fiesta Taco Bowl a lot, and I wanted more. So if you are on a weight loss schedule this will keep you in check, but if you are just plain hungry this will not satisfy. To heck with it, I would recommend adding some carbs like rice, grain or pasta. Here we go - that's more like it. 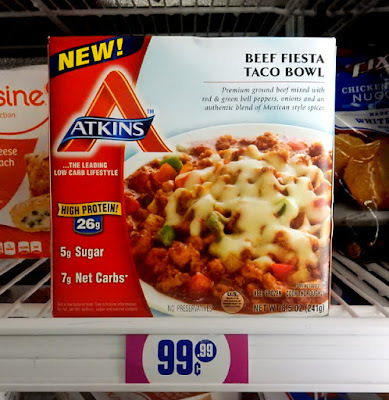 So for my Cheap$kate Dining Scale of 1 to 9, 9 being best, I give Atkins Beef Fiesta Taco Bowl (without pasta) a strong 8 ! 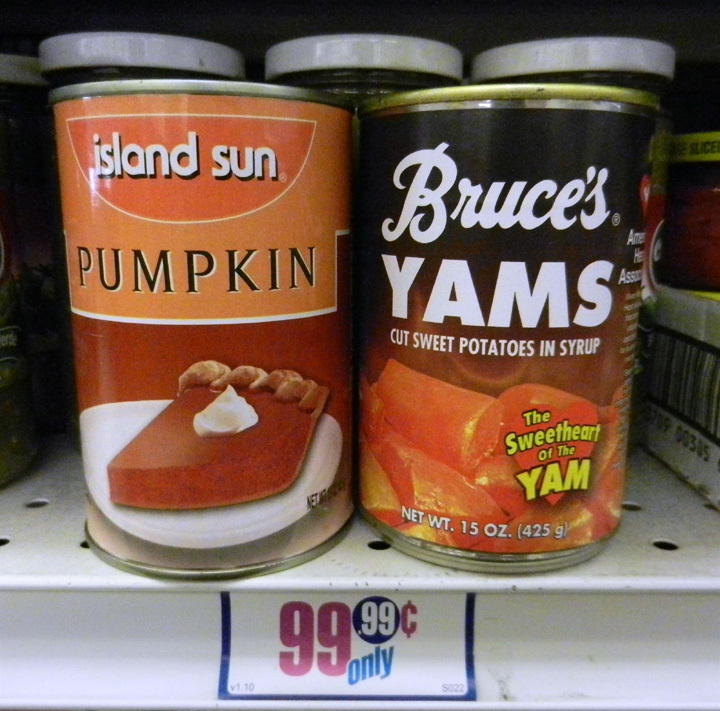 On my next trip to the 99c only Store I'm stocking up for sure. I like frozen entrees from Dr. Atkins. While the servings are usually small, they make up for it in flavor and tasty ingredients. Hey, I can't complain about a meal that only costs a buck! Just to let you know, I like Panda Express and am grateful they have tasty stir-frys at a reasonable price. Not everyone has one in their town or city, so this tasty recipe is especially for you. My Black Pepper Chicken recipe is made with cheap dark chicken meat and the veggies are priced the lowest in any grocery produce section. 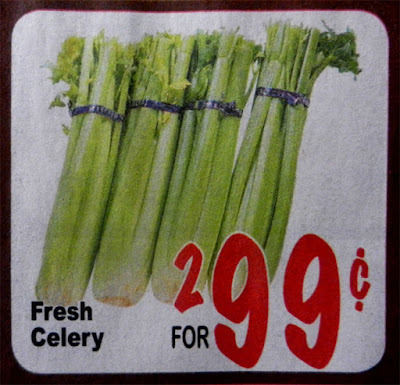 I use half a bunch of celery, and I can get a whole bunch of crunchy celery for a dollar or less. And onions are so cheap that I used the most expensive type, red onion, which costs way less than a dollar per pound at my local Latin grocery store. It's okay to substitute with budget yellow or white onion. 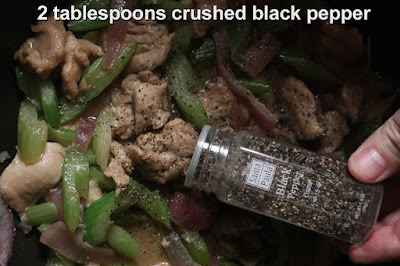 I also use coarse ground black pepper that I get from my local 99c only Store and Dollar Tree. 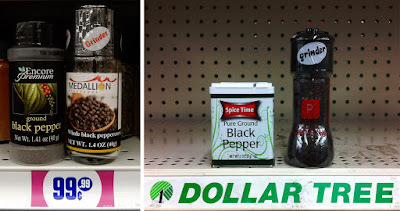 They also sell whole peppercorns, that can be crushed, so you get bites loaded with spicy pepper. Of course, you can use regular ground pepper. Use as much or as little as you can handle. The stir-fry ingredients amounts can be adjusted. You like a lot of crunchy veggies? Then add an extra stalk or two of celery. I always have extra celery in the bottom of my refrigerator, so this recipe is perfect for using it all up. And notice how I slice the celery at a diagonal, so the pieces are larger. This recipe makes three to four servings. If you want more protein then add another chicken thigh or leg. 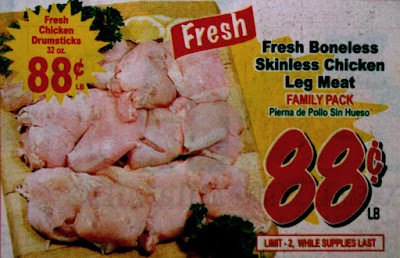 This recipe is so cheap that you can use breast meat. With a little bit of work you can remove the chicken skin and bone. Breast meat is the easiest to fillet. You can also just saute leg and/or thigh meat and remove the bone after it's cooked, while you saute the veggies. 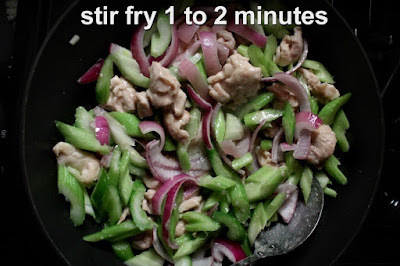 I like stir-fry recipes because they are quick and easy to do. Most use soy sauce and a little garlic. I like to add a teaspoon of sugar to cut the saltiness of soy sauce. If you have some ginger and vinegar then use that too, but you can leave them out for this recipe. 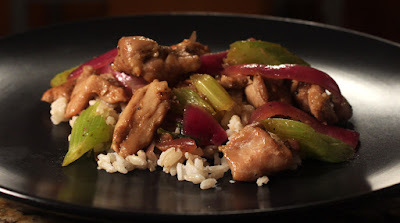 Try out my latest cheap$kate recipe, Black Pepper Chicken and make enough to bring to lunch, instead of blowing your hard earned dollars at Panda Express. Play it here. video runs 3 minutes 49 seconds. 3-4 pieces of chicken - about a pound of skinless and boneless. 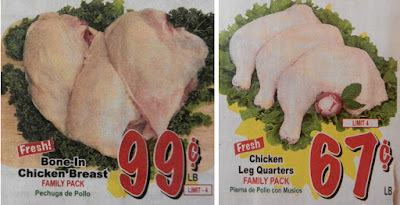 3 to 4 dark meat pieces or a whole chicken breast. 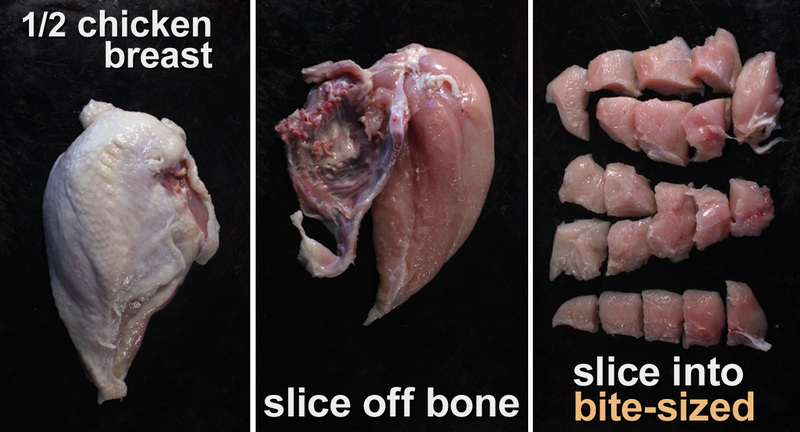 You can remove bone and skin from chicken before or after cooking it. 4 stalks of celery - sliced. About 2 cups. Okay to add more if you like. 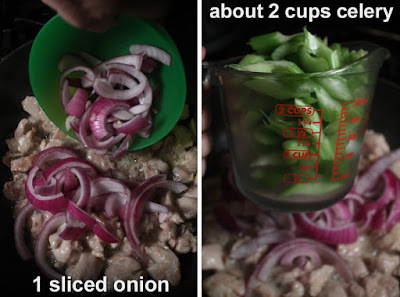 1 whole onion - sliced. I used red, but you can use any cheaper white or yellow onion. 1 teaspoon chopped garlic - fresh or from jar. 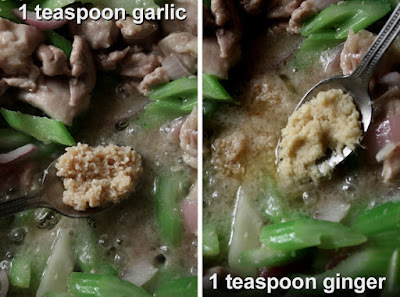 1 teaspoon chopped ginger - optional. Dried, fresh or from jar. 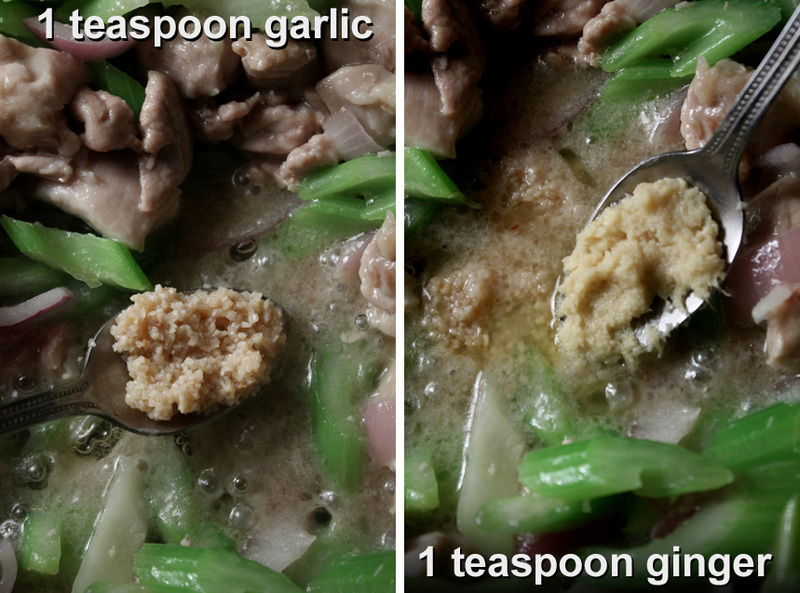 Okay to use a teaspoon of powdered ginger. 2 tablespoons of soy sauce - I used lite or low sodium. No salt is necessary for recipe as I find soy sauce has plenty, but you can add some if you like. 2 tablespoons coarse ground black pepper - Okay to add more or less, to suit your taste. Course ground pepper is best, but you can use regular ground black pepper. 1 tablespoon of cornstarch - optional. This will give you a thick sauce. 1 tablespoon of vinegar - any type, optional. I used apple cider vinegar. 1 teaspoon of sugar - optional. Okay to use your favorite sweetener. 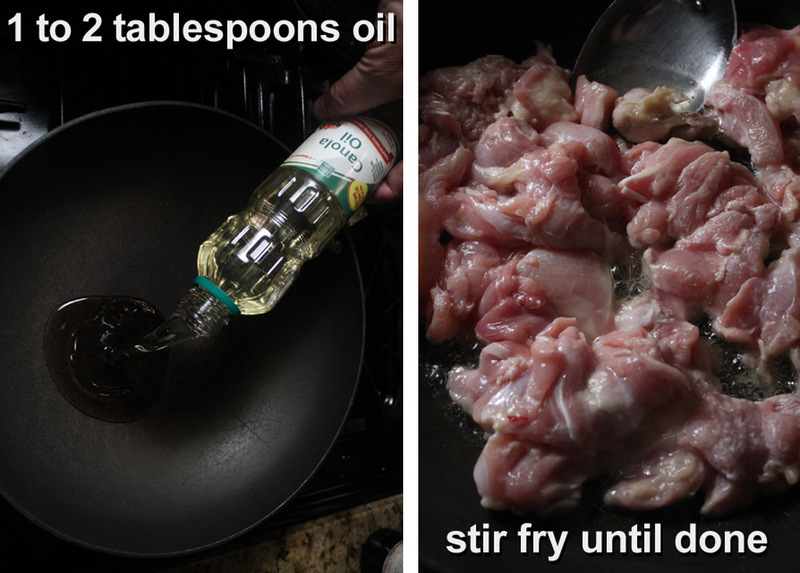 1 tablespoon oil - for frying chicken. Add more depending how much chicken is used. 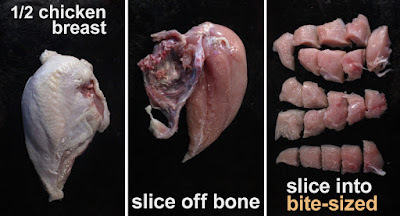 Remove skin and bone from chicken. 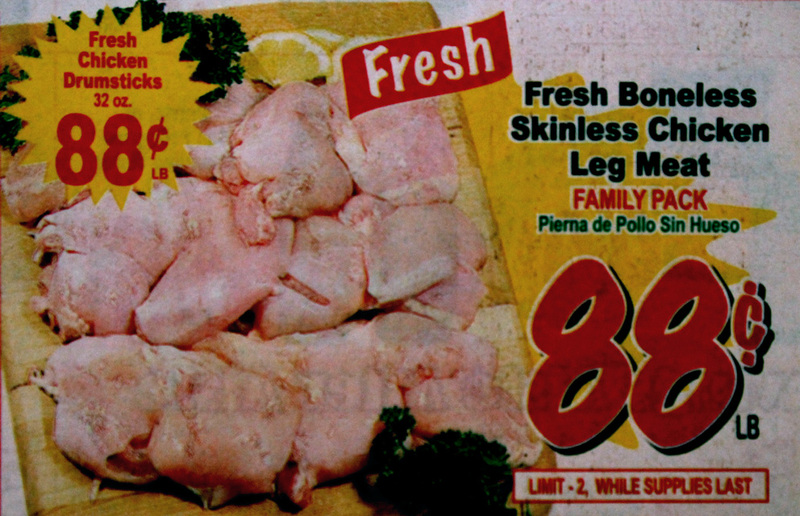 I got boneless and skinless dark meat at my local Latin market for less than a dollar per pound. You can cook dark meat with the bone in, then remove chicken meat while you saute veggies. White meat is easiest to remove from bone. 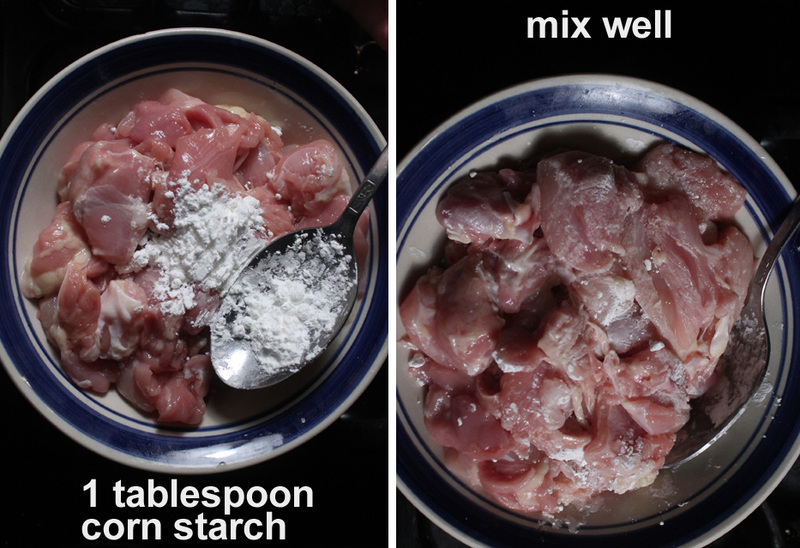 Coat chicken with cornstarch, optional. Cornstarch will make a thick gravy. In a large frying pan or a wok, add 2 tablespoons of oil to a medium/hot pan. Add chicken and cook until done, about 3-5 minutes if the chicken is cubed. For whole chicken pieces it will take longer, about 7-10 minutes. 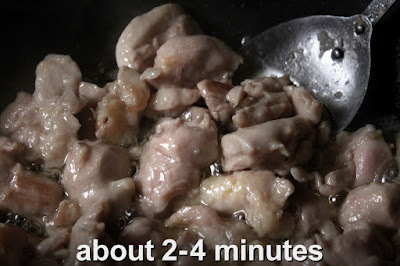 Chicken is done when there is no pink color in thickest part of chicken. 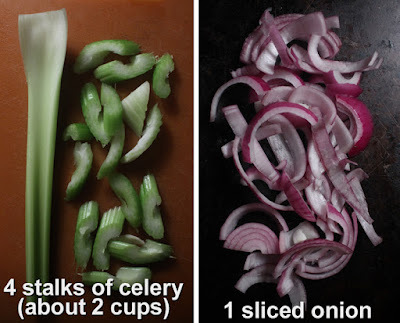 While chicken cooks you can slice the celery and onion. 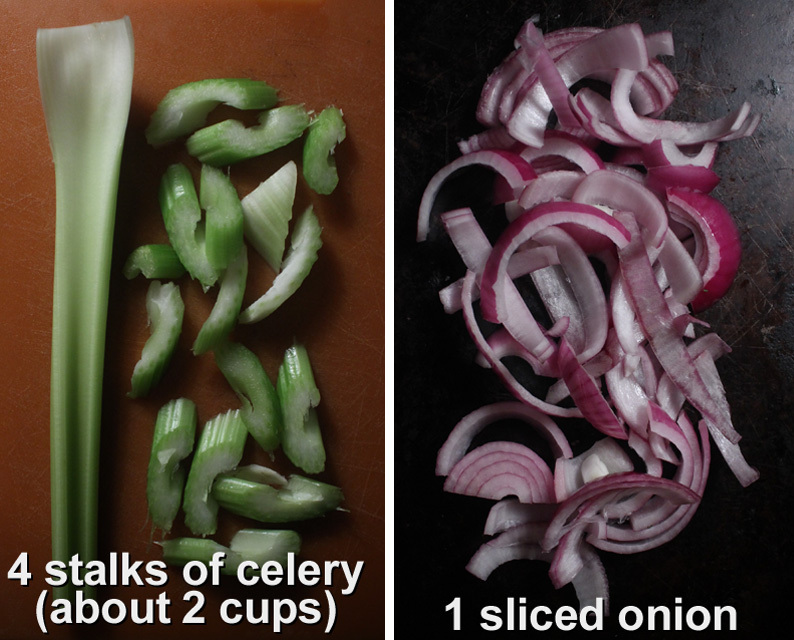 Slice celery at a diagonal so you get longer and larger celery chunks. Discard a 1/4 inch of tough white celery end at the root. 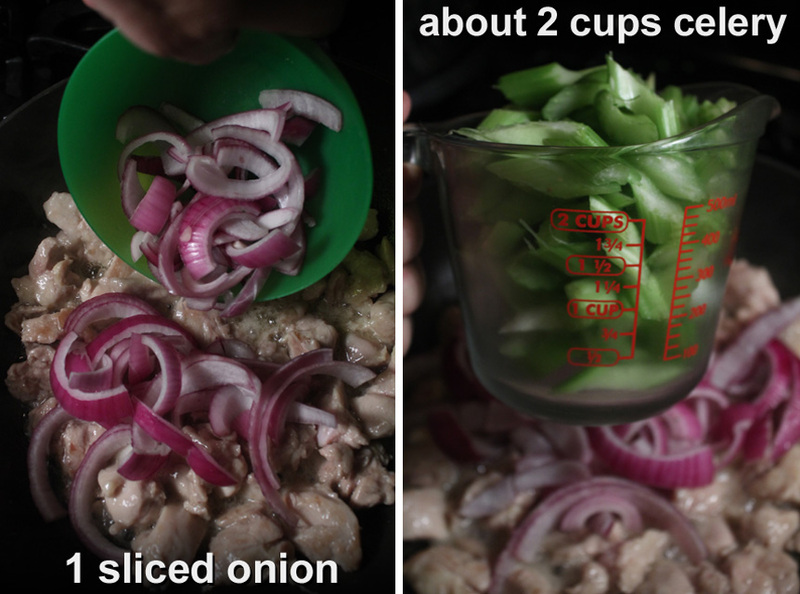 Slice one onion. I like larger pieces for the onion, too. You can chop it smaller if you like. Dark meat has a lot of moisture so you will get a flavorful gravy. For white meat you may need to add a 1/4 cup of water. If chicken dries out when sauteing, then add some water if you like sauce. After chicken is done add the sliced celery and onion. (Okay to remove chicken if your pan is too small.) Saute and stir veggies for just a minute or two. You want some crunch, so best not to overcook veggies. Next, make a clear area in center of frying pan and add the chopped garlic and ginger. Stir for a minute. Add soy sauce and vinegar. Add a teaspoon of sugar or favorite sweetener, optional. Finally, add 2 tablespoons of crushed black pepper. 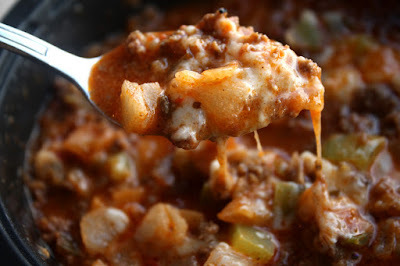 You can add one tablespoon and taste, then add more until desired flavor. Okay to use ground pepper. Crushed peppercorns are the most intense way to go. 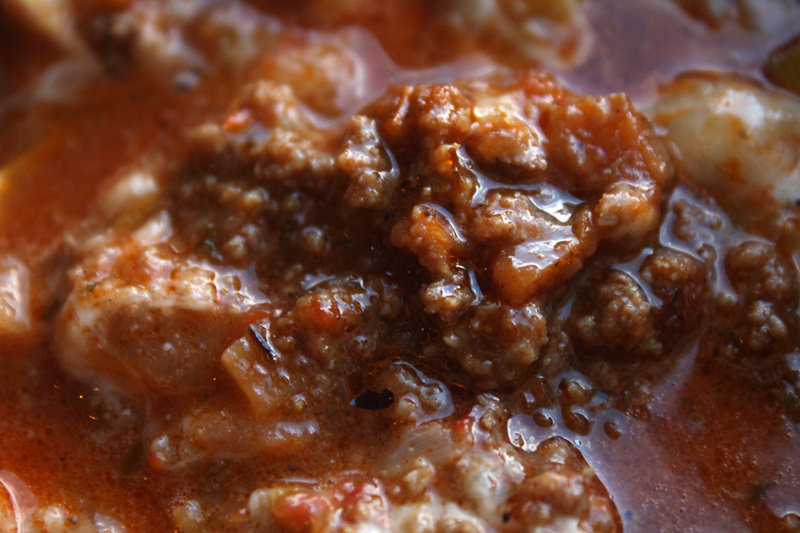 If you like more sauce, then pour in a 1/4 cup of water or broth, and stir-fry another minute. Serve over rice, favorite grain or noodles. It's good on its own, too. If you like more veggies in your stir-fry, then add more celery. Same goes for chicken. You don't want to overcook the veggies, so just saute for a couple of minutes, at the most. Using a pepper grinder makes the most intense flavor, with black peppery bites. Make your life easier and use store bought bottled Chinese Stir-Fry Sauce, if you like. You can make this stir fry with any cheap seasonal veggie you like, including carrots, spinach, broccoli, and squash. Use any cut of chicken you like. Keep it lighter with lean white meat. For this recipe I used cheaper dark meat -- it's all good.